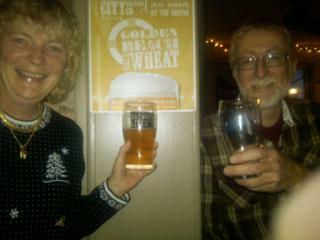 Last Friday was the official launch of Sawdust City Brewing Co's first beer, Golden Beach Pale Wheat. 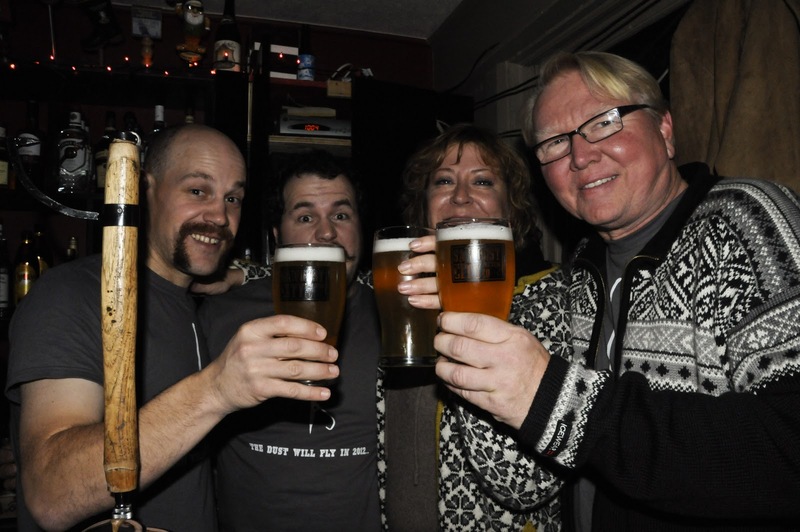 We had two events going on at the same time, one down in Toronto at one of the East ends most legendary beer bars, The Only Cafe. 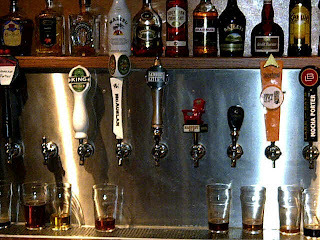 The other was in Muskoka at the soon to be legendary, Griffin Gastropub. Both events went off with out a hitch. 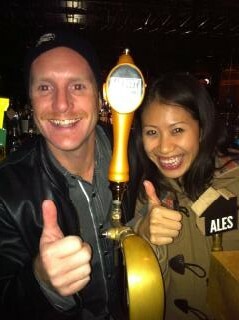 The beer was flowing, the music was playing and fun was had by all. 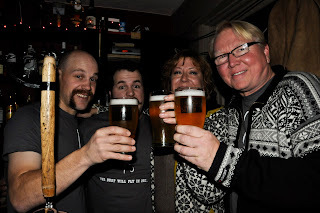 Unfortunately Rob, Karla and myself couldn't be in both places at once, so while we manned the tables and taps at the Griffin, Troy and Kristina helped serve the Golden Beach at the Only. 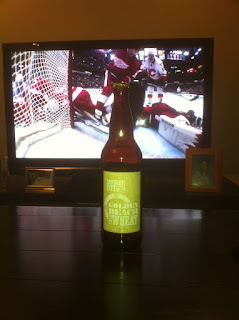 We couldn't have been happier with the reception Golden Beach received and it was great to be a part of two fun events. Hopefully we'll have as much luck with the rest of our releases, cause it won't be too long before Ol'Woody Alt available at beer bars across Toronto and Muskoka. 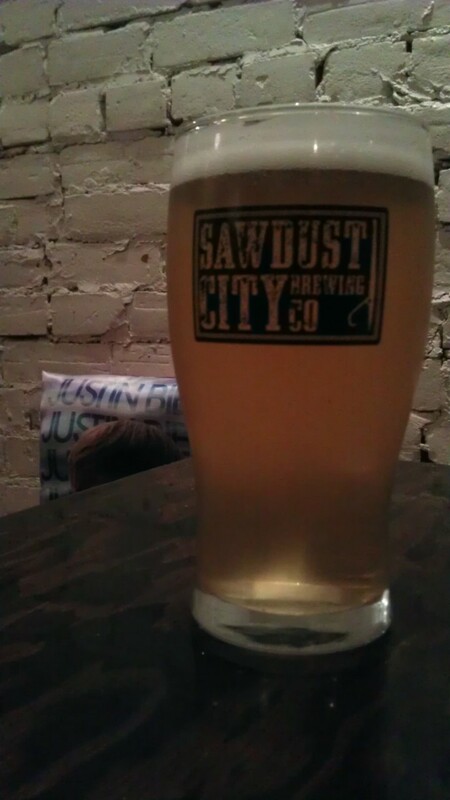 That's right folks, hot on the heels of Golden Beach Pale Wheat comes Sawdust City's second beer, Ol' Woody Alt. Brewed over the past two days down at Niagara College we've brewed, boiled and pitched the next of our mainstay brands and by December 14th, Ol'Woody Alt should be pouring a pristine mahogany brown from the taps. A more traditional ale, Ol'Woody won't be as hop forward, as citrusy or as light as Golden Beach, but it will be no less delicious. With a solid malt body, chalk full of hearty Dark Munich Malt and a strong bitter bite from traditional German Noble hops, Ol'Woody Alt will be a great beer for the fall. So keep your eyes peeled and your interwebs tuned to our Facebook and Twitter page for more news on the release of Ol'Woody Alt. 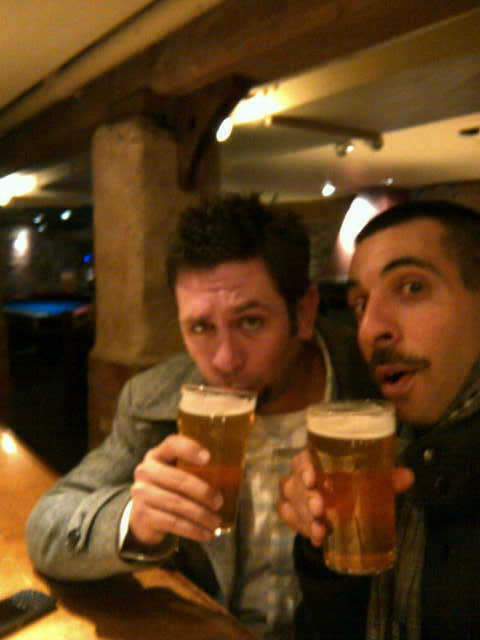 But before we get too far ahead of ourselves, let's take a look back at some of the faces and places that have enjoyed our first beer, Golden Beach Pale Wheat. 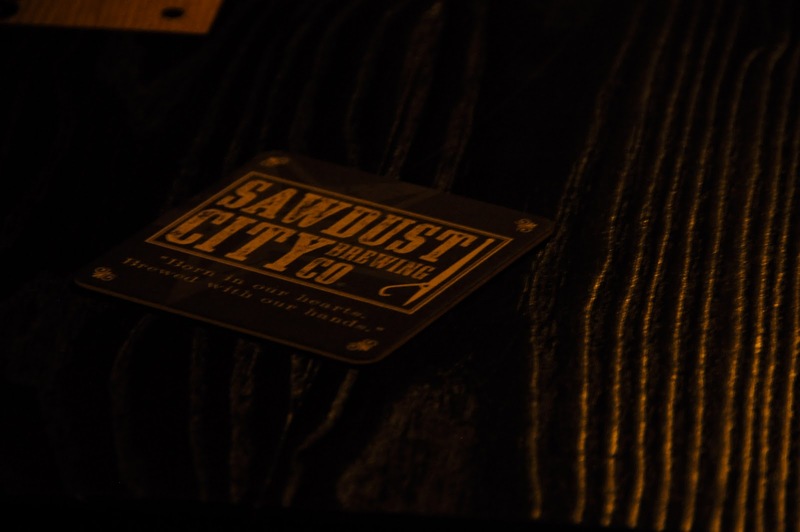 We've had a few people send in photos of themselves enjoying our beer and we'd like to offer those kind folks honorary citizenship into Sawdust City, they're now official Sawdust City-zens! So if you got any photo's and you want to join our growing populace, send'em in and we'll post them here. 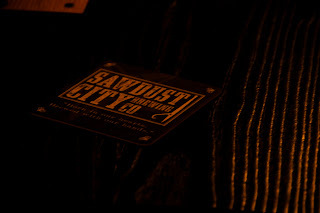 We love to meet new people and we welcome anyone to become a Sawdust City-zen! Doesn't that look delicious! 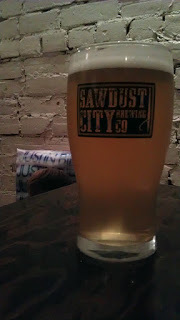 So next time you're out at you local beer bar, pull out your phone and snap a picture of your glass, yourself or your friends enjoying a Sawdust City product, we'd love to see it and we'd love to have you become a Sawdust City-zen. Anyhoo that's about it for this time. Until next time, keep the beer in your mugs and the sawdust beneath your feet.